Dr Anup K Pujari, a full-time bureaucrat and part-time Harvard professor, is India’s new DGFT (Director General of Foreign Trade). A 1980 batch Karnataka cadre IAS, Dr Pujari, who had an earlier innings in foreign trade between June 2000 to May 2003 as Additional DGFT, is now back as its Director General. Those who know him well will tell you how the man handling World Bank and ADB in the ministry of finance hardly uses the red light outside his ground floor corner room of the North Block. Hailing from Orissa, Pujari, the suave and soft-spoken officer was also in Election Commission of India, and had earlier served as Managing Director of Mysore Sugar Co Ltd and Karnataka Food and Civil Supplies Corporation Ltd.
Born in 1956, Pujari is a post-graduate from the University of Boston, and is a doctorate in economics. On a number of occasions, he took up short-duration teaching assignments at the University of Harvard which in turn allowed him to interact with some of the young brilliant minds from across the world. As the global economy has just recovered from the lows, and India is setting ambitious export targets, Pujari’s innings as DGFT is set to be keenly watched. Dr Raju Sharma, a 1982 batch Uttar Pradesh cadre IAS officer, has resigned following his three-time transfers in two months, according to media report. 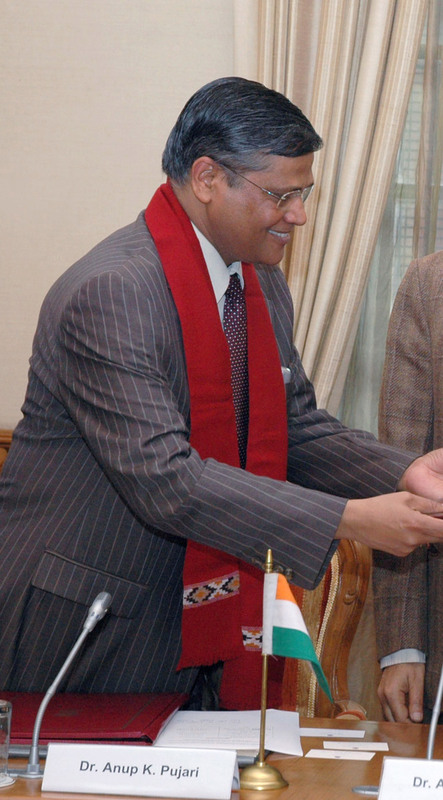 A post graduate in physics and a doctorate in public administration, Sharma had a long innings (2002-2008) in the National Authority of Chemical Weapons Convention under the cabinet secretariat. Since his joining back to the cadre, Sharma was first posted as principal secretary Basic Education, then got him transferred to higher education department in the same capacity. Within a few days, he was transferred to the Revenue Board as member (judicial).